Secure Innovations can provide hundreds of different types of barcodes in a host of materials. Essentially we refer to these as custom codes, as they are created to the specific needs and standard of our clients. Multiple shapes, sizes and formats can be used to meet your design. 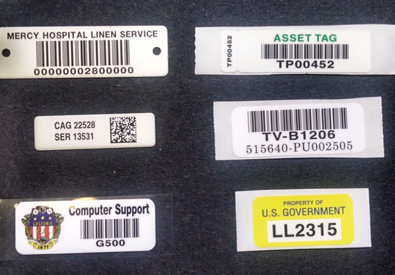 Codes can be any form of barcode symbology or they can be asset description labels for equipment as shown with a US Government example. Custom designs will deliver what you need. We include QR codes in our Custom Code offerings.